At ADT our team of experienced instructors cover every firearm disciplines and offer instructor classes from the NRA and USCCA. Rob – Is a lifelong outdoors man who enjoys spending time outdoors, with his family, learning about self defense, first aid, target practice, hunting, and firearms. Rob works to expand his knowledge at every chance he gets and to pass this knowledge along to his students. 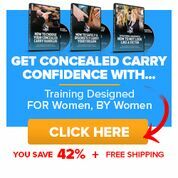 Whether that’s a student in a CCW class or an advance instructor class having the information and knowing where to find it is critical for everyone. Certifications: Ohio CHL/CCW carrier in 2004, NRA Appointed Training Counselors able to teach all of their civilian courses, United States Concealed Carry Association (USCCA) Training Counselor, USCCA Counter Mass Shooting Threat, USCCA Emergency First Aid, NRA Refuse To Be A Victim (RTBAV) Regional Counselor, International Law Enforcement Firearm Instructor trained instructor, Glock Advance Armorer, Glock Instructor, NRA Chief Range Safety Officer, Ohio Hunter/Trapper Education Instructor, Jeff Hall – Hojustu, David Grossman – Bullet Proof Your Mind, Andrew Branca – Law of Self Defense, Massad Ayoob – Rules of Armed Self Defense. 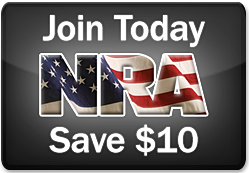 Craig – Is an NRA instructor and USCCA Training Counselor specializing in Home Defense, Firearm Safety and advanced training. He also focuses on the mental aspect of self-defense both before and after the encounter occurs. He teaches Ohio CCW, Personal Protection In and Outside the Home as well as Home Firearm Safety and Refuse to Be a Victim. Certifications: Ohio CHL/CCW carrier, NRA Certified Instructor, United States Concealed Carry Association (USCCA) Training Counselor, Refuse To Be A Victim (RTBAV) Instructor, NRA Chief Range Safety Officer, David Grossman – Bullet Proof Your Mind, Massad Ayoob – Rules of Armed Self Defense. Michael – Is an Eagle Scout who enjoys the outdoors and spending time with his family. 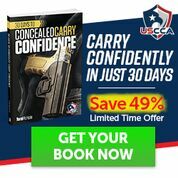 He specializing in helping new shooters take those first shots comfortably and completing the CCW shooting qualification. Certifications: Ohio CHL/CCW carrier, NRA Certified Instructor (Pistol & Personal Protection In the Home), USCCA Certified Instructor, Range Safety Officer, David Grossman – Bullet Proof Your Mind, Andrew Branca – Law of Self Defense, Massad Ayoob – Rules of Armed Self Defense. Bill– A US Navy Veteran and loves to spend time with family and friends. He’s Married with 5 children and 17 grandchildren. His background is diversified in defense Intelligence, private security, uniformed and armored security. Independent Insurance agent which led him to DHS with FEMA for disaster inspections. He drove a tractor trailer in between everything else. He’s been shooting for over 40 years. He loves to help new shooters get comfortable, and become good at shooting. A safe range is a must.